…aspiring writer Robert McAlmon, 24, cannot believe his luck. He is marrying…today…right after tea…the most fascinating woman he has ever met. Annie Ellerman, 26. British. Smart. Witty. Also a writer. And she has told him that her father, Sir John, one of the richest men in England, has promised she can have her inheritance, the equivalent of $30 million, once she is married and he meets her new husband. So the newlyweds plan to sail to Liverpool at the end of the month. 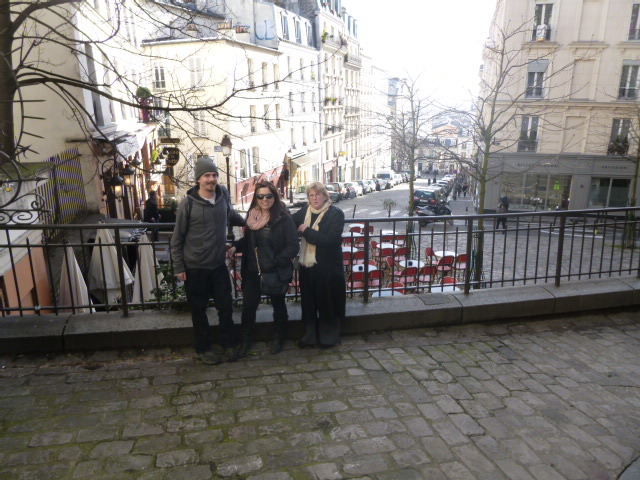 But, after meeting the family, they want to set off for Paris. McAlmon has read that a lot of American writers, including one of his favorites, Sherwood Anderson, 44, are living there on the Left Bank. He could use some of this ‘dowry’ to set up a publishing company, extending the Contact press that he has been trying to establish here in New York. Annie also mentions that she prefers to be known by her pen name, Bryher. Oh, and when they go to Paris, she will bring along her close friend, poet Hilda Doolittle [known by her pen name HD], 34, and her daughter. …a man walks in to a bar. 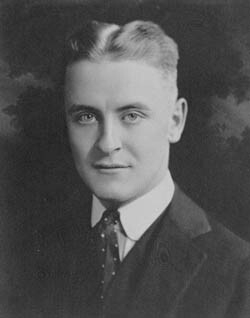 F. Scott Fitzgerald, 28, whose third novel, The Great Gatsby, has just been published by Scribner’s back in the US, goes to the Dingo on rue Delambre. 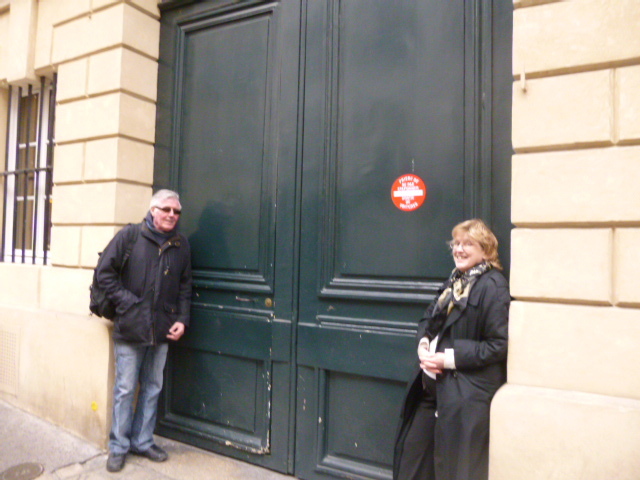 He has been told he will find there the American writer that everyone in Paris is talking about, Ernest Hemingway, 25. Wearing his finest Brooks Brothers suit, Scott finds Ernest drinking at the bar with some of his British ex-pat friends, Duff Twysden, 32, and her distant cousin and current squeeze, Pat Guthrie, 30. Fitzgerald orders champagne for all, asks Hemingway questions about his wife, feels violently ill, and passes out. His new friends send him home in a taxi. Ernest Hemingway, Duff Twysden, Hadley Hemingway, Donald Ogden Stewart and Pat Guthrie in Pamplona, Spain, for the bullfights a few months later, July 1925. 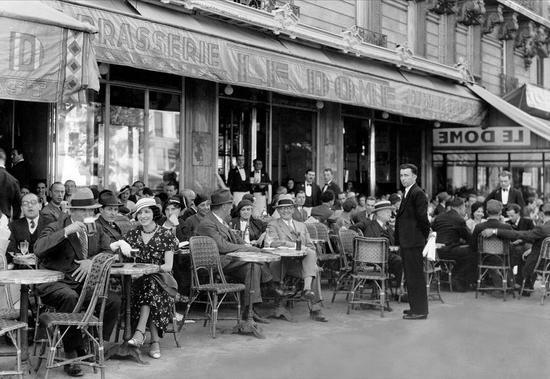 …recently arrived Americans, Ernest Hemingway, 22, and his new wife, Hadley Richardson Hemingway, 30, are having drinks at one of their favourite cafes, the Dome, on the Boulevard de Montparnasse. They’re very excited about starting their new life here, living off Hadley’s trust fund and Ernest’s writing for the Toronto Star. But, they’re lonely. They don’t know anyone. Their friend back in Chicago, novelist Sherwood Anderson, 45, has given them letters of introduction to other ex-patriate writers in the city, but they haven’t summoned up the courage to use them yet. 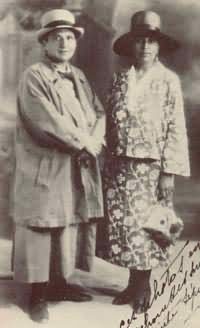 About ten minutes away, at 27 rue de Fleurus, two other American friends of Anderson, writer Gertrude Stein, 47, and her partner, Alice B. Toklas, 44, are getting ready for their Christmas party. 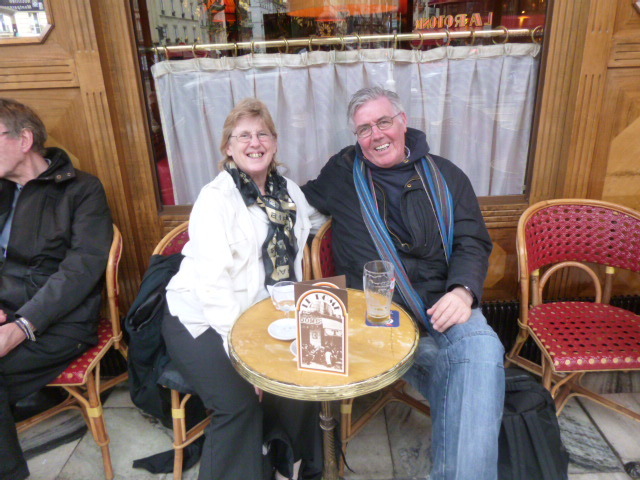 Each year they invite the writers and painters living in Paris. Well, the ones they like. And, on the other side of the Luxembourg Gardens, on rue de l’Odeon, there is a buzz around the Shakespeare & Co. bookstore, run by another American, Sylvia Beach, 34. Irish author James Joyce, 39, is getting ready to give a reading of his new novel, Ulysses, which Sylvia is preparing to publish early next year. This reading is a way of getting more pre-orders to finance the project. All of cultural Paris is coming. But not Gert and Alice. They cancelled their membership in Sylvia’s bookstore when she took on Joyce. …Alice Babette Toklas, 30, hears a bell ring. 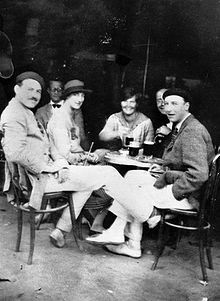 Having just arrived in Paris, Alice has been taken to rue Madame, near the Luxembourg Gardens, to visit with her fellow San Franciscans, the Stein family, who have been living there for the past few years. The oldest, Michael, 42, and his wife, Sarah, 37, are art collectors who hold regular salons on Saturday nights to show off their paintings. Sarah had brought three Matisses home to California last year, after the earthquake, and Alice had been invited to see them there. Michael’s brother, Leo, 35, also a serious art collector, comes by for dinner. He lives a few blocks away, with their sister, Gertrude, 33. 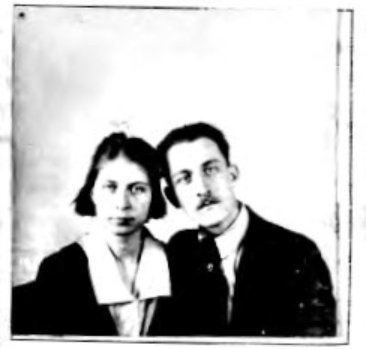 A few days later, Alice heard a bell again when Gertrude took her to meet the Steins’ painter friend, Pablo Picasso, 25. 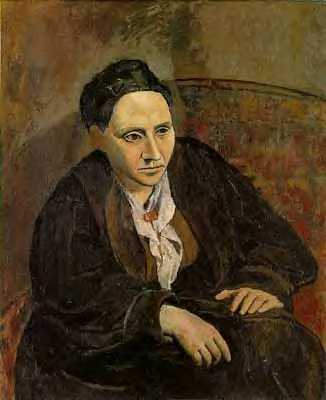 …Pittsburgh-born writer Gertrude Stein, 35, is taking her early evening walk. 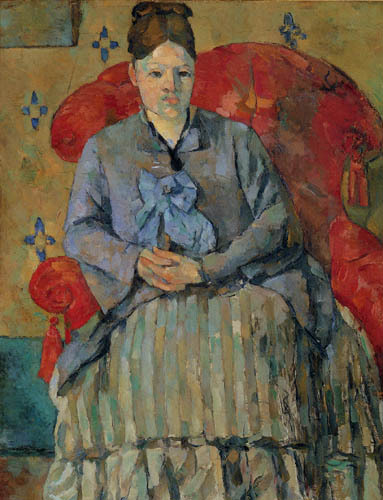 She leaves the Bateau Lavoir studio where she has spent the afternoon sitting in a big broken chair for her portrait by her friend, Spanish painter Pablo Picasso, 24. 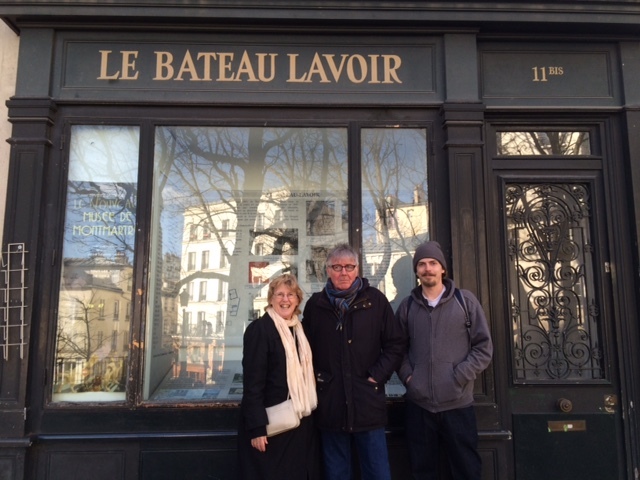 ‘Such Friends’ at Bateau Lavoir this week! 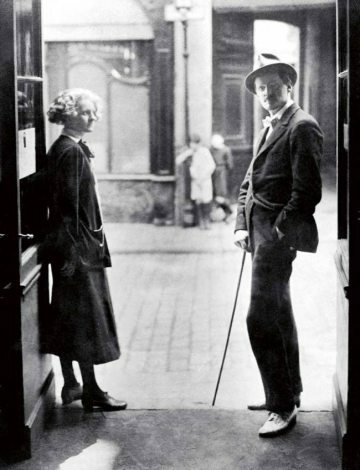 Gertrude loves this time in the city, making her way down the steep steps and streets of Montmartre, across the Seine, to the apartment she has shared with her brother Leo, 33, at 27 rue de Fleurus for almost three years. Gertrude and Leo are taking a great interest in the painters working in Paris these days. They’ve filled their own atelier with the paintings. 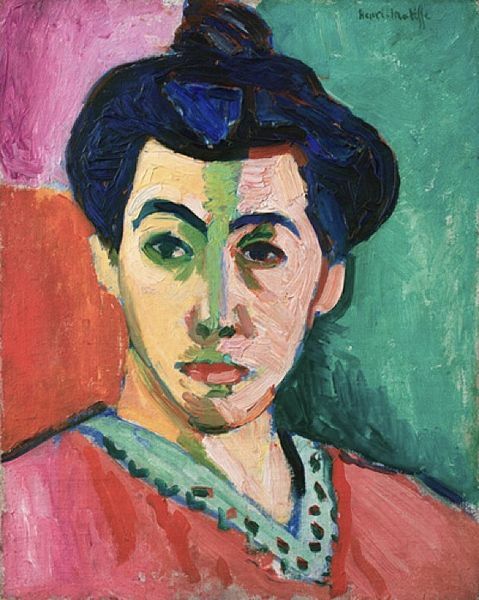 Art lovers from Paris and abroad try to get invitations to come to their salon on Saturday nights to see the paintings and hear Leo declaim on his theories of modern art. Gertrude sits and listens.